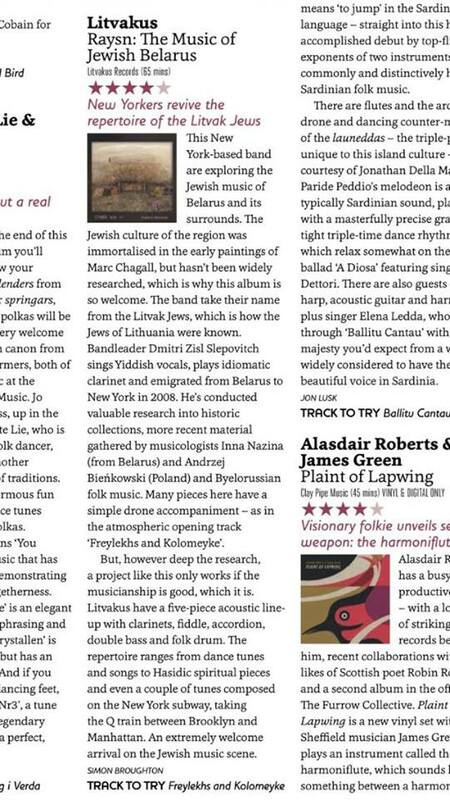 Litvakus, founded and led by the clarinetist, vocalist, and composer Zisl Slepovitch, is a critically acclaimed klezmer collective, the first to focus exclusively on the music and culture of Litvak Jews and their neighbors in Belarus, Lithuania, Latvia, Poland, and parts of Ukraine. Litvakus features a uniquely distinct sound, a mix of drones from Belarusian bagpipes and stings, with a recognizably Jewish idiom, and high-energy, “shtetl-disco” music, along with traditional Eastern European Jewish vocals. The band’s repertoire also includes contemporary klezmer pieces written in the spirit of roots music. Litvakus equally fits chamber and large open-air settings, plays at festivals, concert venues, clubs and private events. Litvakus first performed in 2008 in the National Yiddish Theatre Folksbiene’s production of Gimpel Tam after I.B.Singer. Among group’s programs are Traveling the Yiddishland with Michael Alpert (2012), Raysn: The Music of Jewish Belarus (2014); and GoyFriend with Sasha Lurje (2018). Goyfriend: A collaboration of project of Litvakus and Sasha Lurje (Berlin). Imitation and Music in Brooklyn, by Molly McQuade: Observer, July 8, 2016 – Litvakus put in the wide context of the modern Brooklyn, NY music scene and creativity. 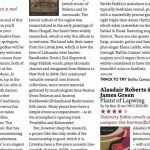 “Ot azey!”: Litvakus at the Museum at Eldridge Street, November 22, 2015 – Ari Greenberg’s in-depth review of the Litvakus’ performance at the Eldridge Street Synagogue on 11/22/2015, in In Geveb. 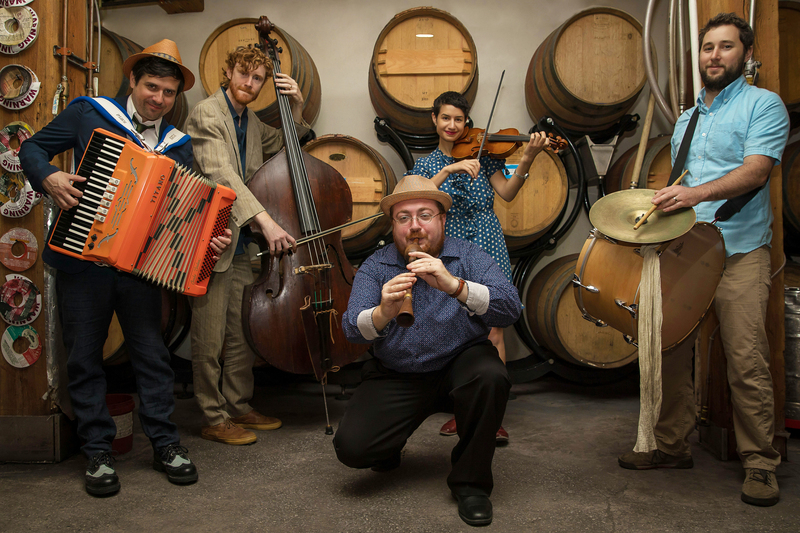 Check out Traveling the Yiddishland, a stunning multimedia musical story by Zisl Slepovitch presented by Litvakus together with the National Yiddish Theatre – Folksbiene. To book Litvakus, please contact us.